The Enforcement Directorate (ED) has attached nine assets of beleaguered industrialist Vijay Mallya and United Breweries Holdings Ltd (UBHL) worth Rs 1,411 crore (Rs 14.11 billion) under anti-money laundering laws in connection with the Rs 950-crore (Rs 9.5 billion) IDBI Bank loan fraud case. Mallya owns 52.3 per cent stake in UBHL, both personally as well as through firms such as Watson and McDowell Holdings. This is the first multi-city seizure drive by ED in the Mallya case. The enforcement sleuths have attached nine assets/properties in the cities of Chennai, Bengaluru, Kurg and Mumbai. The attachment includes three to four properties in UB City, Bengaluru - (commercial and a residential tower) - and one residential apartment in south Mumbai, besides 4.5 acres of factory plot in Chennai and 27 acres of coffee plantation in Kurg. Apart from this, bank balance of Rs 34 crore (Rs 340 million) indirectly held by Mallya have been attached. The said account is in the name of PE Data - suspected to be a shell company created by him. ED is also planning to approach court for attachment of Mallya’s personal properties that are worth Rs 4,000 crore (Rs 40 billion), said a ED source. Meanwhile, the enforcement agency has sought details from Diageo India operation regarding the USL-Diageo deal of Rs 515 crore (Rs 5.15 billion). 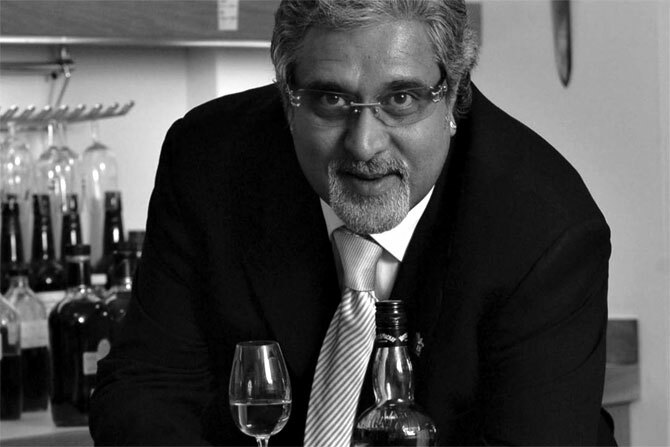 However, Diageo had already paid $40 million to Mallya before the Debt Recovery Tribunal order came to freeze the $75 million, which it was to pay Mallya as part of a deal. The case is going on in the Debt Recovery Tribunal. “We have asked them to provide statement of transaction from February till date, the documents related to the deal and the company’s disclosure,” the official said. Mallya, reportedly in exile in the UK, owes Rs 6,963 crore (Rs 69.63 billlion) to a consortium of bankers led by the State Bank of India, for loans taken to run Kingfisher. The banks say Mallya had given personal guarantees, apart from pledging his stake in UB Group companies, to raise funds for the airline. This resulted in Mallya losing control over his liquor empire to global players - Diageo in spirits and Heineken in beverages. ED had registered the case against Mallya, Kingfisher Airlines and IDBI officials under the Prevention of Money Laundering Act in March.